UK-based Fuzzy Frog has released the trailer of their latest game "Hugo Troll Race 2", which was created with LightWave 3D and Unity. Fuzzy Frog is not new to creating unique games, one of its most notable being "Real Scary Spiders" (created in conjunction with Animal Planet and Toys-R-Us), the team also received the Best Animation and Gaming Project award at the 2014 Digital Entrepreneur Awards. Get inspired to create your own digital gaming with LightWave 3D and don't forget to check their previous interview! 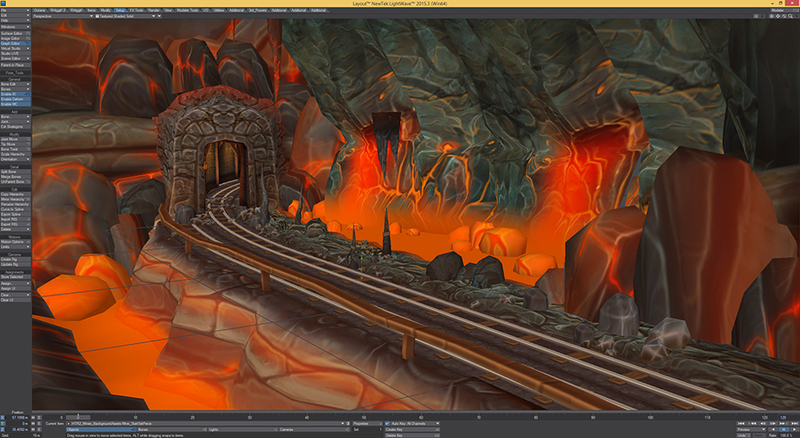 Simon Smalley, Art Director at Fuzzy Frog, granted us a few minutes to explain the process of creating this new game. 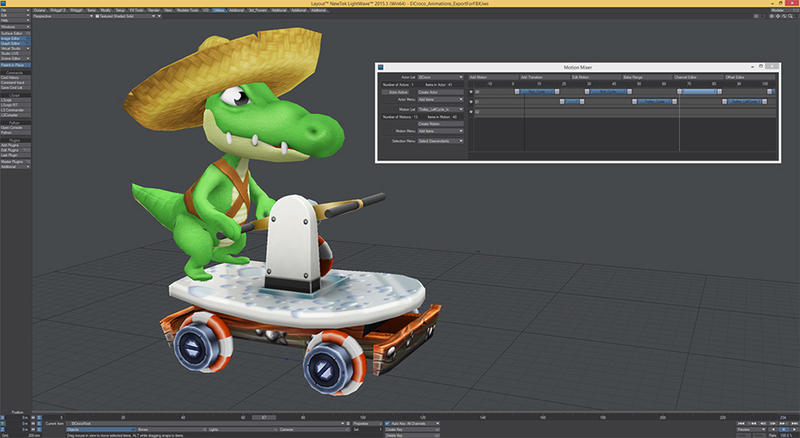 "Along with Unity, LightWave is a key part of our game development process at Fuzzy Frog. We create all characters, environments, animations and rendered promotional material using a huge variety of LightWave's features. We use a lot of texture baking in our asset pipeline. We'll often light and surface our models in layout using procedurals, images or nodes, then bake those surfaces to a texture map. It gives us great control and it often saves us a huge amount of time. Another feature in particular that is really great for us is the Motion Mixer, for characters especially. Our artists can create animation in their own independent scenes and then export that animation data for use in a 'master' character scene. Using Motion Mixer we can import all of that animation data and place it on a single timeline, where we can tweak timings, create transitions and finally export to Unity. It's a great workflow and it really helps to keep things managable. In addition to ingame content we also create our own fully rendered marketing material. We recently invested in a GPU render farm, using LightWave together with Octane Render. 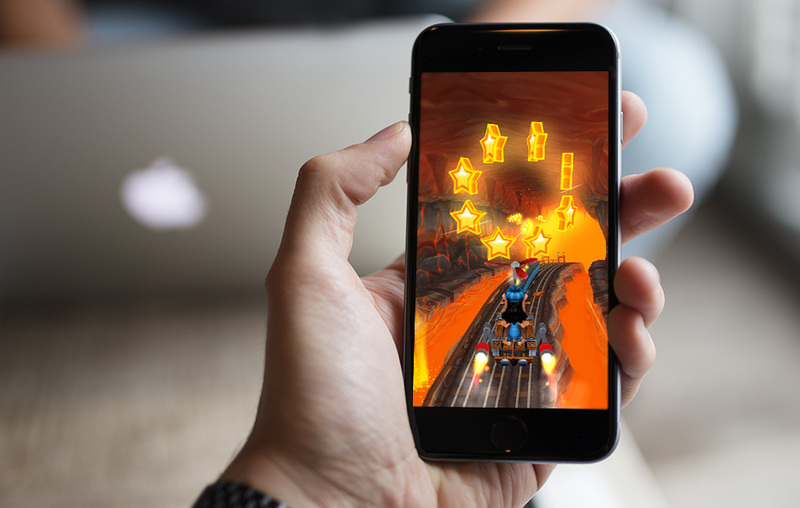 It's made a huge difference to our production pipeline, enabling us to produce stunning HD graphics with minimal render times." "Hugo Troll Race 2" will be available in a few weeks on IOS and android for tablets and mobiles.